Last year, I read this book by Stephanie Perkins called Anna and the French Kiss. 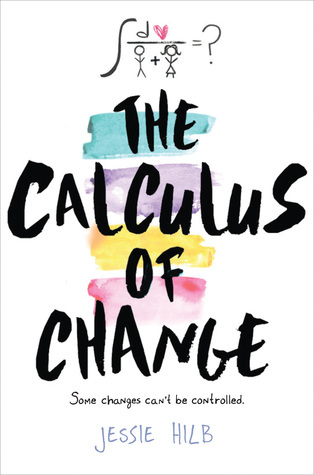 You might have heard of it… I’d read countless rave reviews about it, so I decided to listen to the hype and check it out. It’s quite an understatement for me to say to that I loved it with the fire of a thousand suns. 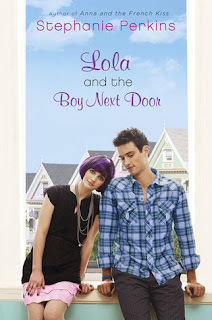 Since then, I have been anxiously awaiting the release of the companion novel, Lola and the Boy Next Door. And now… in my post-Lola world, all I can say is "OMG HAPPY RAINBOWS LOVE SPARKLES SWEET UNICORN FIREWORK CAKES." …Let me try to translate that for you. I absolutely, entirely, wholeheartedly, 100 percent adore Lola, in a completely different and brand new way than I adore Anna. While Anna’s story was all about first love, Lola’s is about second chances. Lola Nolan once loved the boy next door named Cricket Bell, who broke her heart and left town before she could properly get closure on her feelings. Now that he’s back, along with his twin sister and Mean Girl Calliope, Lola has to deal with her old feelings of rejection, her new boyfriend Max’s jealousy, and her confusing I-like-Cricket-but-I-don’t-know-what-to-do emotions as well. The main reason why this book works so well is Lola, just as she is. No matter how unique and off-the-wall Lola seems, she remains tangible and authentic from beginning to end. I would never be able to pull off about 98% of what she wears, but I love the fact that she wears it. I love that she sees every moment as an opportunity to express herself and she continues to show her true, vibrant colors. I also love that she makes true teen-girl decisions. Anyone can see that Max is a total dillhole from the very beginning (her two dads and her best friend Lindsay certainly see it), but Lola is so starstruck, it takes months for her to notice his true identity. I especially love the moment where she describes how she wants Cricket to see her again out with her super-cool-rocker boyfriend, and when that moment happens, it doesn’t feel like she expected. She’s conflicted, she struggles, and she does this in a very real way. Lola is so cool. Also, I gotta get this out: CRICKET! I adore Cricket Bell. Hoo boy. There is a character type that gets bandied about in pop culture known as the Manic Pixie Dream Girl, and I feel this is the first true case of the Manic Pixie Dream Boy. He’s like a nerdy girl’s dream come true. He’s sweet, caring, funny, sensitive, smart as a freakin’ whip, and just the perfect blend of awkward confidence and shy grace. I just… can’t even explain it. There’s no one quite like Cricket. Now, Stephanie? May I call you Stephanie? Girl, you can write. I mean, holy crap. The story is fantastic, but what truly makes Lola great is the effortless way it unfolds before your very eyes. It’s brilliant. Every description explodes in your mind’s eye so the reader can’t help but picture it in just the right way, from Lola’s incredible ensembles to the Castro neighborhood to the inner struggle of Lola’s deepest thoughts and emotions. It’s vivid, magical, delicious prose at its very best. Certain phrases made me gasp, grin, and cry (one line made me do all three simultaneously). I want to bake a pie out of these words. Hopefully City Pie Guy can handle that kind of request. And deliver to the East Coast. Oh, and Anna Oliphant and Etienne St. Clair? Love you guys. For real. Don’t ever change. I can’t think of anything else to say about this except STOP READING THIS REVIEW and go read Lola and the Boy Next Door instead. The characters are truly wonderful, the story is delightfully fun, and the writing is Word Heaven. Sparkly, giddy, blissful word heaven. I really enjoyed this book too, though not as much as Anna. Great review! This is a great review! Honestly, I've seen so many reviews of this, but yours really stands out. I've heard so many great things about both Anna and Lola, but I think it's time I finally pick them up!